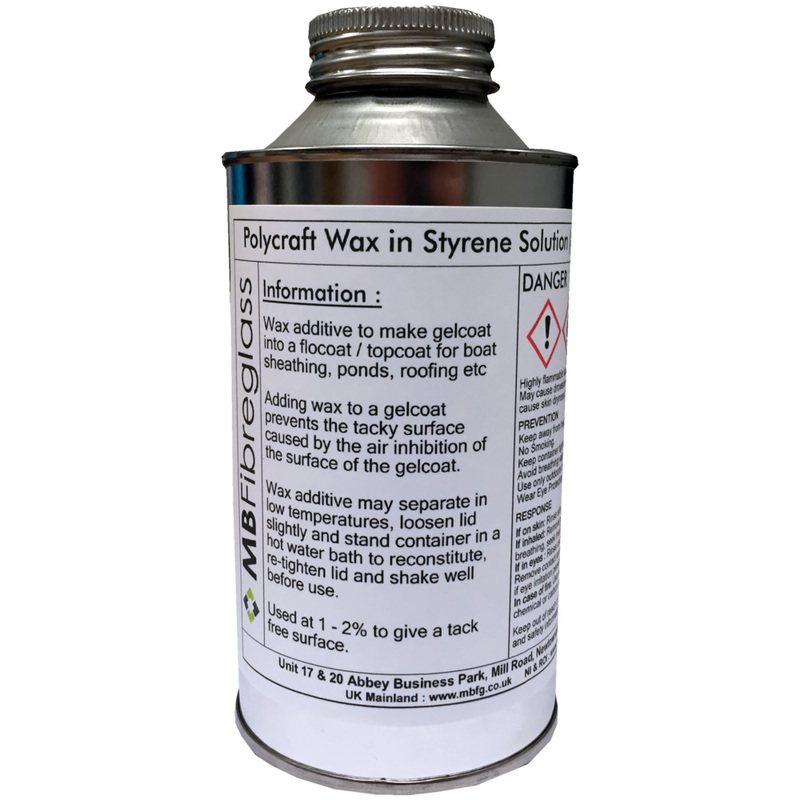 Wax additive to make gelcoat into a flocoat / topcoat for boat sheathing, ponds, roofing etc. Used at 1 - 2% to give a tack free surface. 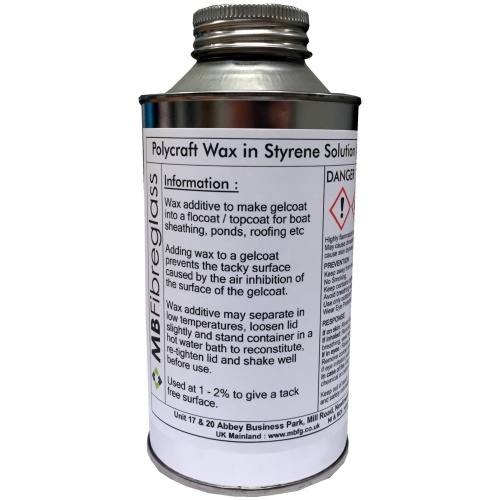 Wax additive may separate in low temperatures, loosen lid slightly and stand container in a hot water bath to reconstitute, re-tighten lid and shake well before use.